With an increasing number of Americans turning to alternative or complementary treatments and therapies, those who have known the benefits of alternative medicine can start saying they knew about it before it was cool. Alternative treatments in the U.S. topped $11.50 billion in revenue and the industry is expected to grow by 2.3% over the next five years. When many Americans lost their jobs and benefits because of the recession, more and more people looked to alternative medical treatments as a way to treat illnesses. Healthcare, both mainstream and alternative, was one of the few industries unaffected by the recession since people were looking to affordable alternatives to costly medical treatments. However, it is expected that the upcoming healthcare reforms in the U.S. may have a negative effect on alternative medicine, as many people might opt for conventional treatments. But, it should be noted that the reforms prohibit healthcare providers from discriminating against licensed alternative healthcare workers. With this in mind, the industry may just end up benefitting further as more people explore the possibility of alternative or complementary treatments. The industry has come into its own over the last few years with more and more people seeking out alternative treatments or alternative medicine to complement the traditional medical treatments they receive. And it seems that alternative medicine is finally starting to receive the respect it deserves. 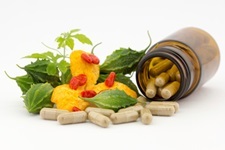 In fact, many doctors are starting to use alternative medicine in their treatment plans as well. Alternative medicine is attractive to many healthcare providers since instead of focusing on one symptom, it takes the patient’s entire well-being into account, focusing on stress, diet, exercise, and sleep. Many hospitals are offering yoga, meditation, and massage as a way to take the stress out of hospital stays. What’s more, many doctors are now collaborating with massage therapists, nutritionists, yoga instructors, chiropractors, naturopathic doctors, and other natural health and alternative medicine practitioners. Best of all, as mentioned earlier, many health insurance providers are starting to recognize medical treatments that were previously considered to be “alternative” such as acupuncture. It is people in the 30 to 55 age group that are driving the use of alternative healthcare with one out of every two in this age bracket using some form of alternative healthcare. The growing popularity of alternative medicine amongst this segment of the population is due to the aches and pains that commonly come with age such as muscle and joint pain as well as arthritis. However, if you start taking supplements, it is recommended that you stick to the recognized and recommended brands as some “health” supplements may contain harmful substances such as lead. Now that alternative medicine is becoming more popular, it will help it gain the credibility it needs to be taken seriously in the health industry. “Alternative Healthcare Providers in the US Industry Market Research Report From IBISWorld Has Been Updated,” September 23, 2013; http://www.digitaljournal.com/pr/1484043,last accessed September 25, 2013. Shore, R., “Alternative Care Goes Mainstream,” The Vancouver Sun, March 14, 2013; http://www.vancouversun.com/health/Alternative+care+goes+mainstream/8100636/story.html,last accessed September 25, 2013. Marchione, M., “Alternative Medicine is Being Integrated Into the Mainstream,” The Huffington Post, June 8, 2009; http://www.huffingtonpost.com/2009/06/08/alternative-medicine-is-b_n_212469.html,last accessed September 25, 2013. “Alternative Medicine Goes Mainstream,” Discovery Health.com; http://health.howstuffworks.com/wellness/natural-medicine/alternative/alternative-medicine-goes-mainstream1.htm,last accessed September 25, 2013.